Bangkok, Phuket and Pattaya are the three main Thai cities that have been consistently dominating the lists of best tourist destination in the world. With Thailand’s economic growth set to exceed 4% in 2018, the fastest pace since 2012, it is no wonder that tourists are also flocking to the kingdom. International tourist arrival numbers hit a high of 35.38 million in 2017, rising 8.8% from 2016. 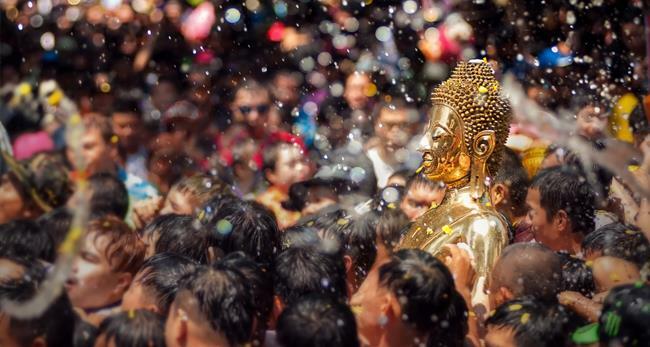 While Thailand is popular to tourists all-year round, one event that many plan their itineraries around is Songkran, the Thai new year. 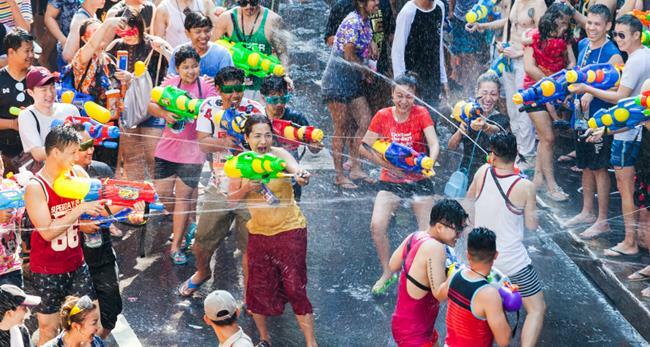 Usually celebrated from 13 to 15 April, Songkran this year was a bumper holiday, with the government extending the duration of festivities for 5 days instead of 3, from 12 to 16 April. According to the Tourism and Sports Ministry, the 5-day celebrations drew a record-breaking 506,136 international visitors, a 6.2% increase from the same period in 2017. Tourism income also rose by 16%, seeing revenue of 24.65 billion baht just over the Songkran holiday week. While many head to Bangkok for the holiday, Pattaya is also fast becoming a preferred destination for international tourists to join in the Songkran celebrations as it continues for three more days in Pattaya. Popular events like Songkran drive up demand for hotels and resorts in Pattaya, with at least 70-80% of them booked in the week leading up to it, according to reports. A newer trend prevalent these days is the increase in demand for monthly rentals over the same period. The advent of rental solutions such as Airbnb have given travellers more budget-friendly options, and property owners additional avenue for capitalising on their investment properties. The Thai government’s plans for Pattaya involve building a high-speed railway link that will connect Bangkok’s Don Mueang and Suvarnabhumi airports with Rayong’s U-Tapao airport, as part of the Eastern Economic Corridor (EEC) and Thailand 4.0 initiatives. This railway link, expected to finish by 2019, will enable travellers to get from Bangkok to Pattaya in under an hour, a journey that currently takes two to three hours by road. 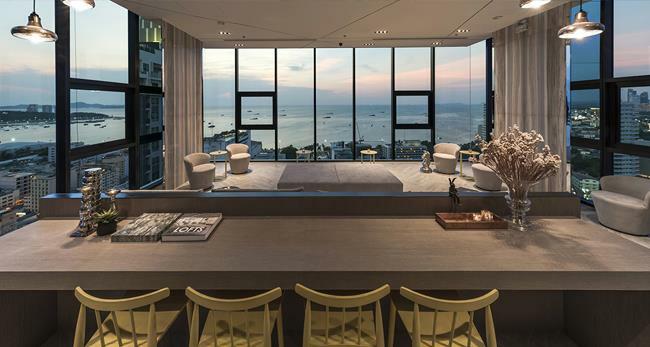 This spells good news for investors in properties in Pattaya as the infrastructural developments will improve accessibility, with the demand for both monthly and long-term rentals increasing correspondingly. With rental yields in Pattaya at an attractive 5-10% per annum, it is no wonder that investors are now flocking to the attractive beach town. Moreover, with monthly rental management apps like Hostmaker, and long-term rental and facilities managers like Plus Property, it has become even more convenient especially for overseas property owners to manage and profit from their properties. 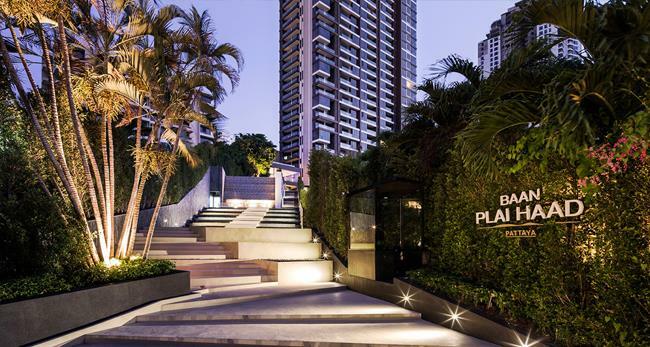 The EDGE Central Pattaya is Sansiri’s latest property in Pattaya, joining Baan Plai Haad and the BASE Central Pattaya. Located just walking distance away from amenities like Central Festival Pattaya Beach, Pattaya Avenue and the Bali Hai Pier, the EDGE Central Pattaya is all set to be an attractive and profitable investment for the future.